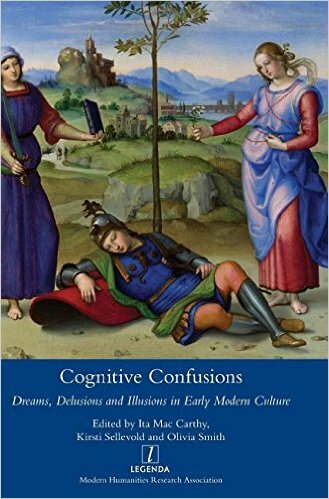 Imperfect Cognitions: What Makes a Belief Delusional? Ema Sullivan-Bissett (lecturer in Philosophy at the University of Birmingham) reviews the fascinating literature on alien abduction beliefs, discussing some hypotheses about the experiences and background beliefs that contribute to people believing in abduction. Ema notices that although alien abduction beliefs are not technically delusions due to the fact that they are widespread in some subcultures, and delusions are supposed to be idiosyncratic, alien abduction beliefs share many epistemic features (implausibility, resistance to revision, etc.) and psychological effects (distress) with delusions. My job in the paper is to argue that there are strong epistemic similarities and some similarities in psychological effects between delusions and positive illusions, despite the latter being extremely common in the non-clinical population and regarded as generally adaptive. Positive illusions have been branded as mild distortions of reality and as less fixed than delusions, but they are not well supported by evidence and they are implausible too. Examples are the belief that one is better than average in a variety of domains, or that one will not experience negative events (such as divorce or serious illness) in the future. In some contexts such illusions enhance wellbeing and mental health, but in other contexts can lead people to take unnecessary risks and experience disappointment and frustration. The conclusion is that it is more challenging than expected to tell delusional beliefs apart from other beliefs, because there is no one 'mark of madness'.